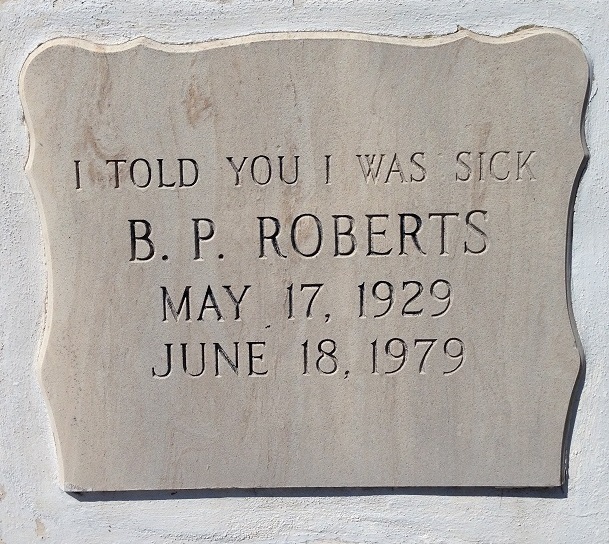 When a hurricane wiped out Key West’s shore-side main cemetery in 1846, locals prudently built the new one further inland. The home of Key West’s dead is now in the middle of the historic district and I’d always heard that it was a must-see for history hounds. 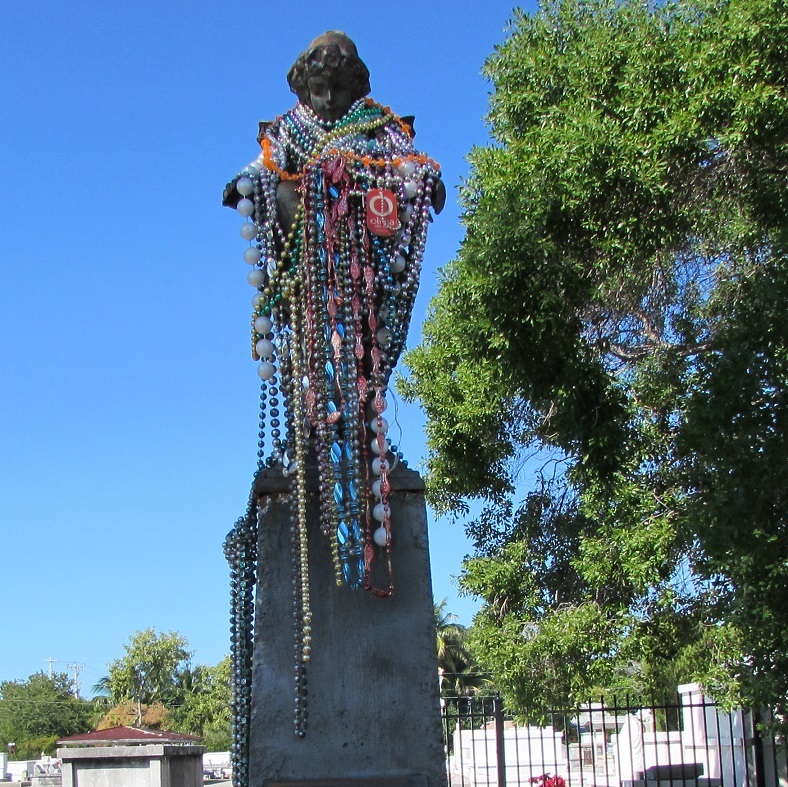 It’s not that anyone particularly famous is buried there, but it combines traditional Victorian/Gothic memento mori with general wackiness in a way that makes it uniquely Key West. We went in via the main entry, where Angela Street, Margaret Street and Passover Lane all meet. There’s a small stone building that contains the sexton’s office, and in front of the building was a “take one” box containing pamphlets of a mapped self-guided tour. I’d downloaded the same guide off their website before I’d left home but had left it on the ship, so it was a nice surprise to have it available onsite. Our first stop, not far from the entrance, was the USS Maine Monument. The Maine was an armored ship, commissioned in 1895 and named after the state. She set out from Key West in February 1898 to protect Americans in Cuba while Cuba was engaged in some tussling with Spain, and mysteriously blew up as she sat in Havana Harbor. Over half her crew of 400 was killed. An official naval inquiry ruled that it had been a mine that caused the explosion. The Navy didn’t assign responsibility and noone claimed it, but popular opinion blamed Spain and the sinking is generally considered the first shot in the Spanish-American War. Twenty-four of the crew killed in the blast are buried in the plot next to the monument. Also buried in the vicinity are other Spanish-American War and Civil War veterans. After the cemetery, it was on to the tropical gardens at West Martello Tower. Take it while you walk. And walk faster. I lied. And walk faster. We eventually got to the south side of the island and Higgs Beach, where the garden is located. But that’ll be in the next post. Before we got to the garden, we came across a plaza with pillars surrounding a stone inlaid art work. 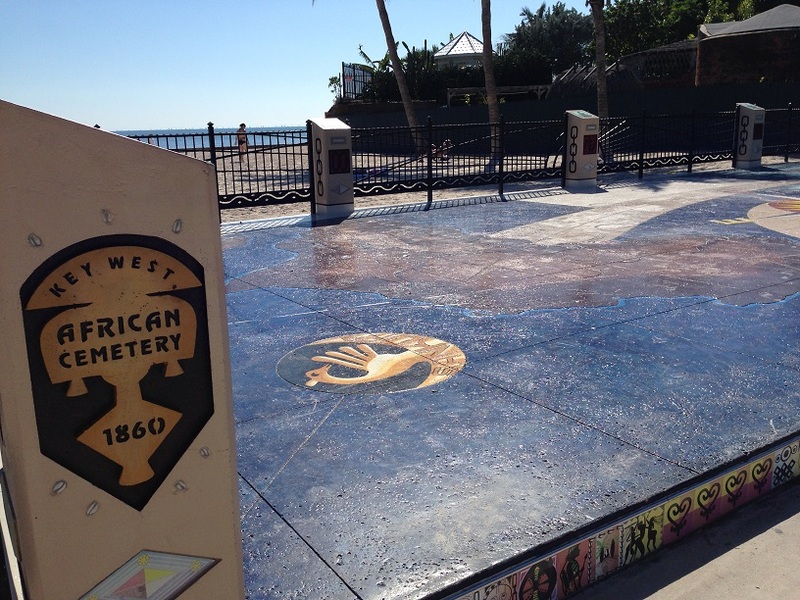 A sign said that it was the location of the African Cemetery at Key West. The US passed a law prohibiting the importation of new slaves in 1807 but that didn’t stop slave traders from continuing to bring slaves into the States illegally. In 1860, the US Navy intercepted three ships carrying about 1500 Africans off the Cuban coast, destined to be sold into slavery in the US. The Navy brought the Africans to Key West. Not surprising, considering the horrific trans-Atlantic journey they’d just undergone, almost 300 died. They were buried in unmarked graves at what’s now Higgs Beach, in an area that became known as the African Cemetery. The survivors (originally from Benin and the Congo) stayed in Key West for about three months before being returned to Africa. Many died on that voyage back and the surviving 800 ended up in Liberia. In 1862, a Civil War fort — the West Martello Tower — was built in the area and over some of the grave-sites. The Africans lay in obscurity, under the fort and other parts of the beach, for 140 years. In 2002, with the city making plans to further develop the Higgs Beach area into a park, archaeologists began an effort to pinpoint the location of the graves. They used ground-penetrating radar and found a definite eight and a possible seven more. Subsequent efforts found another 100 slightly further inland. The site is now on the National Register of Historic Places. Up next: Patricia gets to rest. A little. 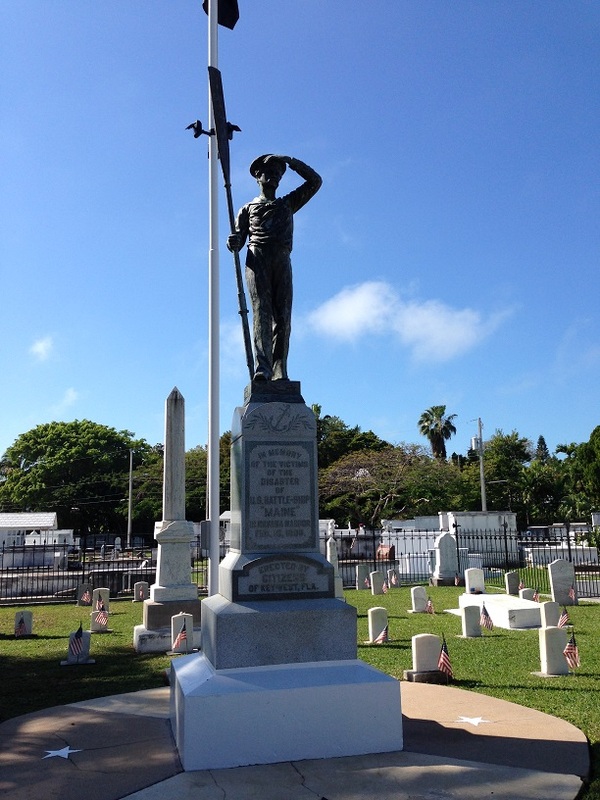 Gallery | This entry was posted in Florida and tagged African Cemetery Key West, Historic Key West Cemetery, USS Maine Monument, West Martello Tower. Bookmark the permalink. I didn’t know the second half to the “Remember the Maine” cry. Fascinating stuff you’ve shown us here particularly the slave history. Patricia? I look forward to your photos!! Patricia is a frequent History Tourist traveling companion. We were on this trip to celebrate her birthday. Happy Birthday Patricia!!! You all slow down and smell the roses now!! Thanks for the birthday wishes Alesia. Think of all the lovely pictures you could have seen on this blog if The History Tourist slowed down! I do have a picture of the Polish Market. I was not familiar with the 2nd half of the slogan either, and I wonder what kinds of foods are available at the Polish Market! But my biggest takeaway from all these photos is how green and how WARM it looks! Writing while staring out at over 60″ of snow, and where a good day currently is when the temps get into the double digits. Spring will come eventually, I suppose.